Home > Becoming an Employer > What Are My Pension Obligations? Pension schemes have been in the news yet again lately. New rules mean that business owners will soon have to contend with a range of new obligations when it comes to occupational pension schemes. So what are the current requirements, and what is changing? As the situation currently stands, small businesses are not legally obliged to contribute to their employees’ pensions. The only exception to this is when pension contributions are required as a result of an employment contract – and this is, of course, very common in larger organisations. Many businesses do choose to set up a pension scheme for their employees, and to make contributions to that scheme on their behalf. There are sound business reasons for this. 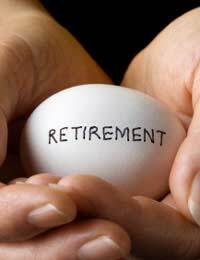 Significant tax breaks are available for employer pension contributions. Similarly, many businesses use generous pension contributions as a way of attracting employees when their headline salaries are limited. Why would I set up a pension scheme? There are major advantages associated with operating a pension scheme for your employees. As has been mentioned, employer contributions to pension schemes enjoy significant tax relief. Generally speaking, contributions can be deducted from your taxable profits. In addition, though, pension schemes can help in a wide range of other business areas. Many employees feel more valued by the company for which they work if they feel that they are being taken care of. A reasonable pension scheme can therefore be good for employee morale – and, ultimately, for productivity. The Pensions Act 2008 has placed some significant new responsibilities on business owners. The most important change is that of auto-enrolment. From 1 October 2012, businesses of every size will be required to offer automatic enrolment in a qualifying pension scheme to all eligible employees. Eligible employees are those aged between 22 and retirement age, and who earn more than the income tax personal allowance. Employers will also be obliged to make contributions. These will start at 1 per cent, and will gradually rise to 3 per cent by 2016. The changes will obviously make life rather more difficult for business owners – and particularly for those with very small businesses. You will not be able to get away from the requirements. But there are a few mitigations to help small firms. To begin with, the government is establishing the National Employment Savings Trust (NEST). This is designed to be a low-cost pension scheme. You can enrol employees in NEST in lieu of your own occupational pension scheme, meaning that you can avoid the cost of setting up a scheme from scratch. You do need, however, to begin planning for enrolment. The requirements are being phased in from 1 October 2012, and the date by which you must comply will depend on the size of your organisation. But you need to think right now about how you will afford the contributions – and you need to factor this into your cashflow forecasts. The Pensions Advisory Service offers a range of information for employers. You should contact them, or your accountant, if you are in any doubt about your obligations.